1. Have a plan, direction or vision for your bedroom. Go to Pinterest for ideas. Decide what you like and don't like and go from there. 2. 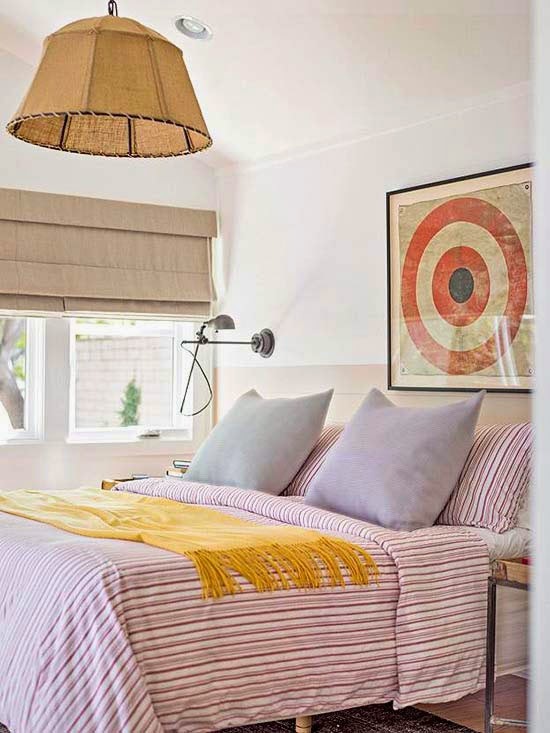 While it's important to have a style for your bedroom, don't pigeon-hole yourself into a style. Be creative. It is YOUR bedroom! 3. Consider the space you have to work with and work within that space. 4. 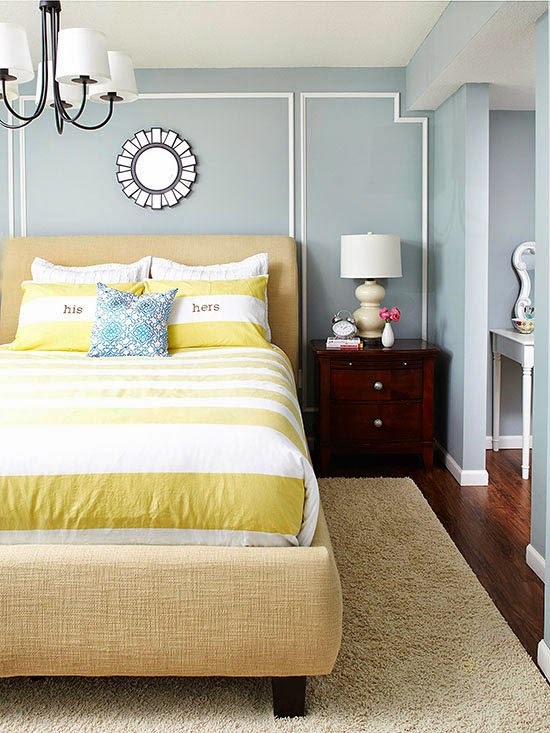 Decide on paint color and the overall color scheme of the room. 5. 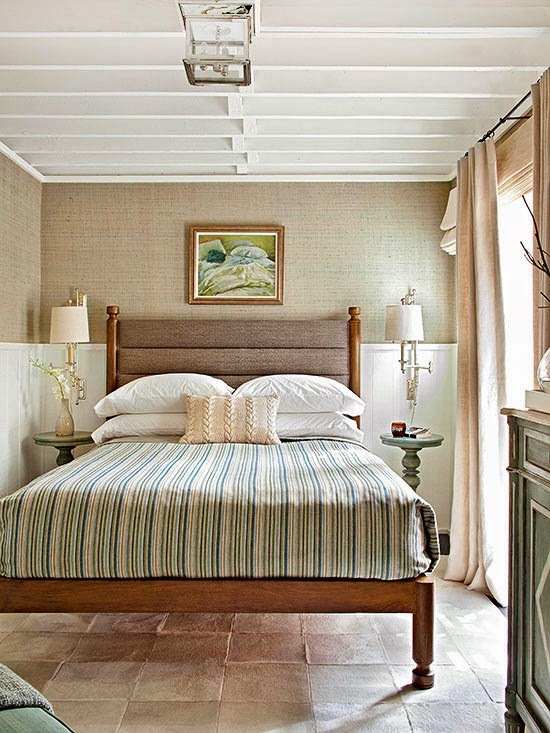 Decide on furniture -- how you want it arranged and what do you want or need in your bedroom. 6. Make sure the bedroom has a personality, preferably yours. 7. Have good accessories and "creature" comforts. 8. Good lighting! I cannot say enough about having enough light in your bedroom. No one wants a dark, depressing room. These tips are paraphrased and not in BHG order. The link for this article can be found here, "What Every Bedroom Needs" if you want to run over and check it out yourselves. The big question here is, what do YOU need in your bedroom? The photos above were borrowed from the Better Homes and Gardens website! I need a total makeover - I like light walls but heavy window coverings. I WANT a total makeover...LOL. But since we are in a rental, I'm limited to what I can do. My hubby has promised me a new white bed for my birthday (last year), but since we moved in October, I told him I would wait. I like light walls and no window coverings or light window coverings. Photo #8 is what I would have for my bedroom...love the chandelier and light, bright, airy-ness of that room. The white walls with the dark wood floors...perfect!